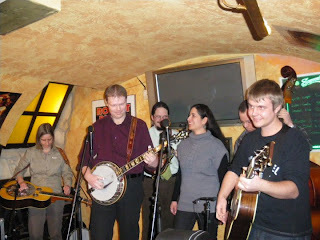 Thanks to Tölgyesi Péter for the following significant dates in the Hungarian bluegrass calendar for the rest of 2011. 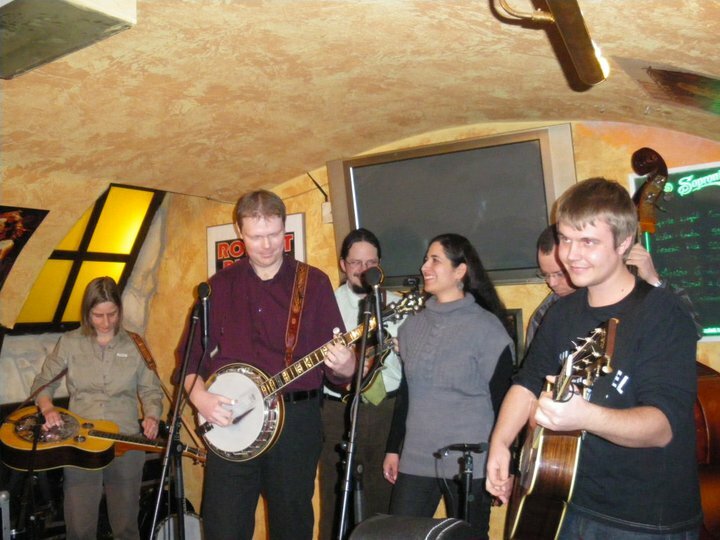 The photo above shows Poa Pratensis, who took part in the La Roche Bluegrass Festival (F) earlier this month. 28 Sept. Poa Pratensis, Budapest, Bonyai Etterem, 8.00 p.m.
19 Oct. Poa Pratensis, Budapest, Bonyai Etterem, 8.00 p.m.
16 Nov. Poa Pratensis, Budapest, Bonyai Etterem, 8.00 p.m.
21 Dec. Poa Pratensis, Budapest, Bonyai Etterem, 8.00 p.m.